Ashley Fulton has worked professionally in music theatre and singing for the past 15 years as an award winning performer, vocal coach, director, producer and musical director. His theatre credits include ‘Grease’, ‘South Pacific’, ‘West Side Story’. He has worked extensively as a soloist throughout the UK including a tour of ‘Night At the Musicals’ and a tour of Big Band Hits. He has been tenor soloist for many performances of classical works and His extensive repertoire includes ‘Messiah’ (Handel)’ ‘Requiem’ (Mozart) and ‘Crucifixion’ (Stainer). For Belfast Festival at Queen’s, he has performed in premier productions of Kurt Weill’s ‘Mahgonny Song Spiel’, Steve Reich’s ‘Desert Music’ and Benjamin Britten’s ‘Canticles’. Ashley has produced and directed various amateur and professional shows including award winning productions of ‘Oliver’, ‘Joseph’, ‘My Fair Lady’, ‘Fame’ and ‘West Side Story’. As musical director he has worked on various productions and concerts including ‘The Buddy Holly Story’, ‘Spring Chickens Two’ and ‘Guys & Dolls’. He has been vocal coach in workshop performances including ‘Me and My Girl’, ‘Fiddler on the Roof’ and ‘ Sweet Charity’ and professional productions including ‘Our House’ and ‘Bombay Dreams’. Ashley has been vocal coach and provided vocal arrangements for Youth Lyric’s productions of ‘Animal Farm’, The Canterbury Tales’, ‘The Witches’ and ‘The Twits’. Ashley has given master classes for many theatre groups and performing arts colleges throughout the UK. His vocal students complete Music Theatre and Singing Exams of the London College of Music with many of his students gaining the highest UK results. His students have achieved 100% right up to, and including LLCM. Ashley has had 35 students go on to study Music Theatre at many recognised colleges including Mountview Academy of Theatre Arts, Arts Educational, Guildford School of Acting, Italian Conti Performing Arts, and Royal Conservatoire, Scotland. He has also many past pupils now performing in national UK tours and in the west end. In the Voice National Performing Arts Competition to find the best Music Theatre performer in the UK he entered 12 students, all of whom went through to the semi finals in London’s West End. Six went on to the final and tree of his students were awarded the top 3 places in the competition with the winner awarded the Lloyd Webber Trophy. In 2012 a student of Ashley’s won the Andrew Lloyd Webber Scholarship. Two of his students were finalists in the BBC programmes ‘I’d do anything’, and ‘Over the Rainbow’. Ashley is an associate lecturer in the performing arts department of Belfast Metropolitan College, vocal coach in Friends’ School, Lisburn and director of the Friends’ Singers. Ashley is the director of Adoro, a professional group of his students, who have been described by the Belfast Telegraph as “simply stunning”. Adoro have performed at many events under his direction including, Waterfront Hall Festival of Remembrance, Queen’s Diamond Jubilee in St Anne’s Cathedral, various function at Hillborough Castle for the Secretary of State, The Music Box Theatre at the Mill, and Dame Mary Peters Gala Opera House, Belfast. 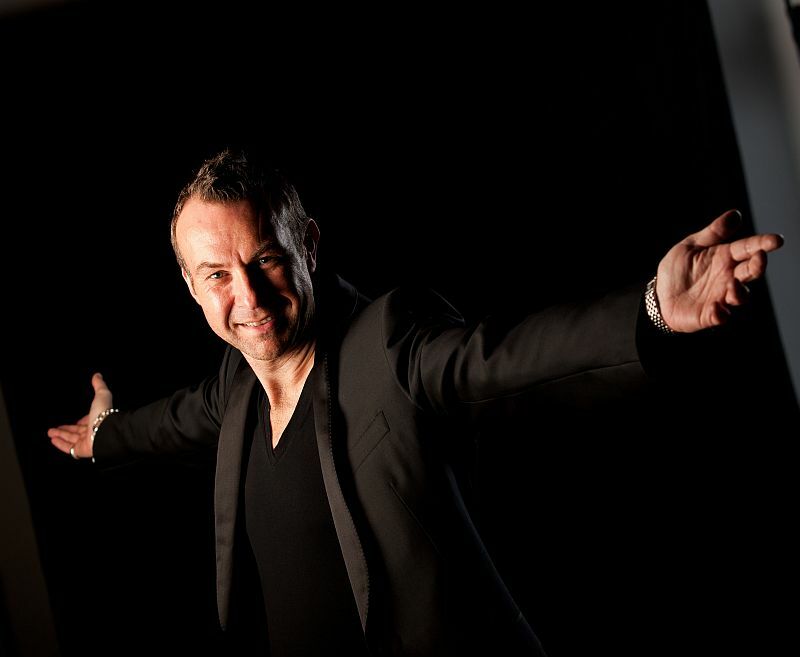 He has also produced and directed four Adoro Christmas tours, ‘Adoro Christmas’, ‘Adoro Christmas 2010’, ‘A Christmas Wish’ and ‘Celebrate with Adoro’ as well as the concerts ‘Adoro Theatre’ and ‘Music in May’. He was also producer of their inaugural recording ‘Adoro live at the Waterfront’.